If there's anything better than being a grandmother, it's sharing the experience with a whole raft of wise and witty women friends. Reading Eye of My Heart is like that. You'll laugh, you'll cry, your heart will break. And you'll gain a greater appreciation of the complexities of being a grandmother. Becoming a grandmother is easy. It's someone else who is in labor. One second you're a mother and the next — a grandmother, and a grandmother in love with her grandchild. It seems as if the rest of one's life should be bathed in a rosy glow. Instead the realization slowly dawns that family conflict and long dormant resentments are not going to be washed away by the flood of baby love. 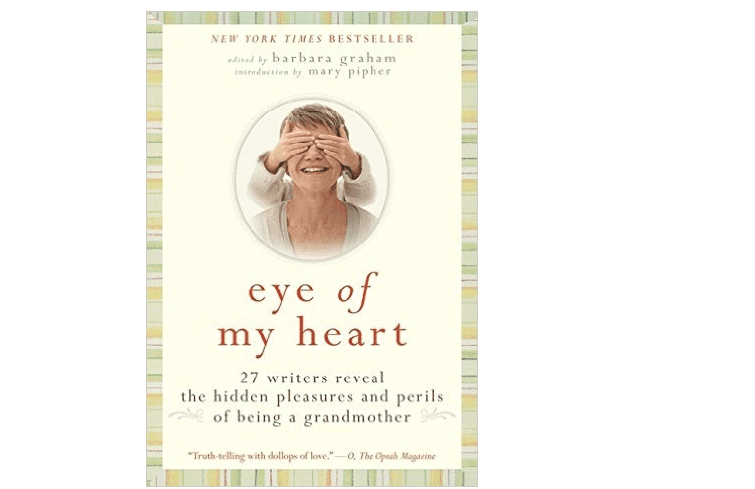 Those are the two major themes that imbue Eye of My Heart, the book subtitled, "27 Writers Reveal the Hidden Pleasures and Perils of Being a Grandmother." 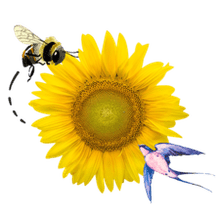 Almost every writer describes an immediate, visceral connection with that first newborn grandchild, a connection which my friends and I have also experienced, but haven't described nearly so well. As Barbara Graham writes in the preface, "I soon learned that I could love my granddaughter fiercely, with a passion that made me hunger for her when she was out of range, but I could have no say — in anything. She was mine but not mine." Out of that paradox come endless conflicts, big and little. The serpent enters Paradise. The serpent can take the form of old conflicts rejuvenated or new ones that spring up. Sallie Tisdale writes of the son who keeps having children he can't support. Lynn Lauber writes of being a grandmother to the child of the daughter she gave up at birth. Judith Guest writes of taking three granddaughters on a special trip to a dude ranch — and having the three turn into little hooligans. But in each story, there is a special grace, because once you are a grandmother, it's something you cannot give up, ever. This book doesn't contain advice. It doesn't offer solutions. What it does do is let women know that they are not alone on their grandmothering journeys, that they are not the first to be reluctant grandmothers, to lose their temper with their grandchildren, to be separated from grandchildren by many miles or to cope with any one of the myriad challenges that life throws in our paths. As a young mother, I looked forward to reading Judith Viorst in Redbook. I knew Letty Cottin Pogrebin as one of the founders of Ms. I told my friends that Judith Guest's Ordinary People was the best book I had ever read. How wonderful it is that these friends of my younger years are still with me on this leg of my journey.